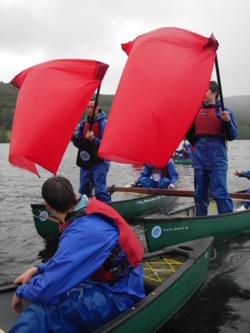 Whats the aim of Open Canoeing as an adventure activity? To learn the basics of open Canadian canoeing. How to hold the paddle and what to do with it! Once mastered your instructor will lead you around the lake and organize the fun and games on the water. If it�s something more advanced your looking for we will provide a right instructor to suit your needs. The activity includes all specialist equipment, instruction, and waterproof clothing and wetsuits where required. 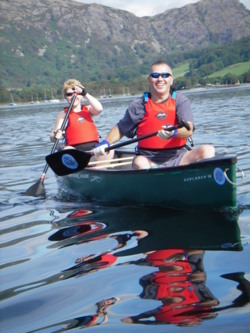 We have venues throughout the north west of England, mainly in The Lake District, Cumbria. We supply a wetsuit and jacket but on top wear something warm like a fleece, preferably something old and loose fitting. Footwear should ideally be canoeing type shoes or boots but trainers with grip will do. Our half day sessions last for 3 hours from start to finish including setting up and derigging time. 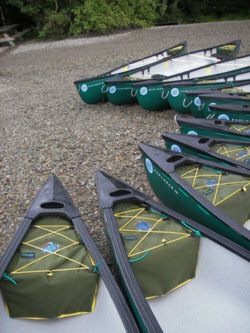 We are available 7 days a week for open Canadian canoeing all year round. There are no real restrictions, for individuals with disabilities we will choose a venue to suit your needs and extra staffing can be made available on request.